The top-ranked Wisconsin women’s hockey team got goals from Alexis Mauermann, Claudia Kepler and Maddie Rolfes on Sunday as the Badgers held off St. Cloud State 3-2 at LaBahn Arena. The Badgers extended their unbeaten streak to 11 straight games and improved to 26-1-1 on the season. UW moved to within one win of its third straight WCHA regular season title. The Badgers can secure the title when they face Ohio State in Columbus, OH this weekend. 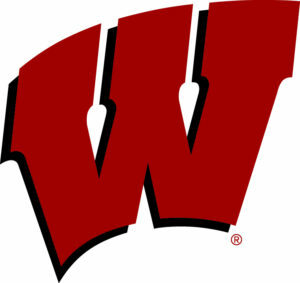 After scoring three goals in the third period to win on Friday night, the Wisconsin men’s hockey team rallied from two goals down three times on Saturday to earn a shootout victory over Penn State at the Kohl Center. In the finale, Wisconsin faced off against cancer, paid tribute to those searching for a cure and welcomed back 1990 National Champion Rob Andringa, who learned last month he has stage four Colon Cancer. By taking five of six points, the Badgers vaulted into third place in the Big Ten and visit Michigan this weekend. The top-ranked Wisconsin Badger women’s hockey team improved to 23-1 after knocking off Minnesota State 4-0, sweeping the two-game weekend series. The Badgers had won the series opener 6-0 on Saturday. Senior co-captain Claudia Kepler scored two goals in Sunday’s victory for Mark Johnson’s club. After a disappointing 2-0 loss to Michigan State on Friday night, the Badger men improved to 11-11-3 with Saturday’s 5-2 victory over the Spartans. 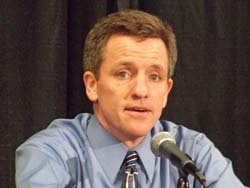 Tony Granato’s Badgers visit top ranked Notre Dame on Friday night in South Bend before playing the series finale at 2 p.m. on Sunday at the United Center in Chicago. The Wisconsin women’s hockey team was picked to finish behind Minnesota in the 2017-18 WCHA race. Four of the league coaches picked the Gophers to win the league this season. The other three picked the Badgers, who have won the last two regular-season championships. Minnesota-Duluth and Ohio State tied for third place, followed by Bemidji State, St. Cloud State and Minnesota State. 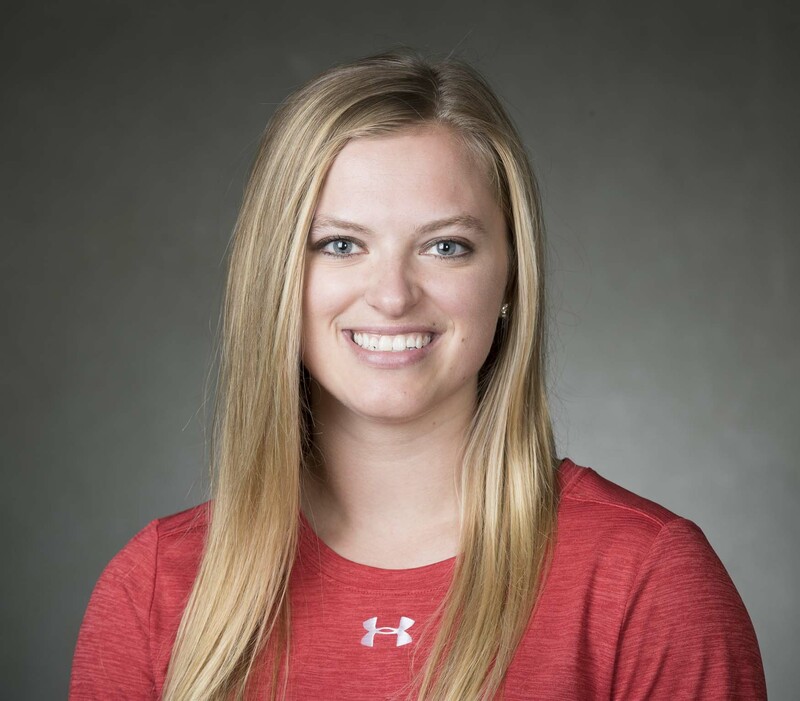 Ohio State goalie Kassidy Sauve was picked as the league’s preseason player of the year, receiving a total of six votes. 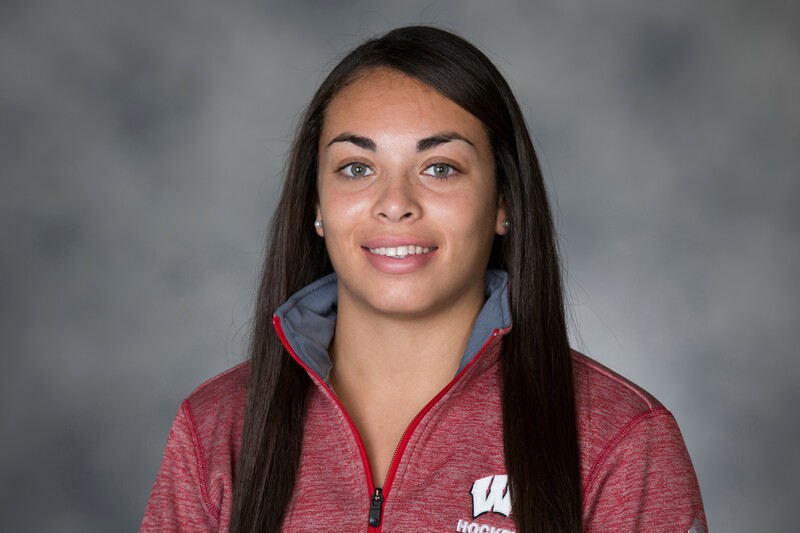 Wisconsin sophomore forward Abby Roque received the other vote. The Badgers open the season on Saturday with an exhibition against the South Korean national team at LaBahn Arena. They’ll host Lindenwood to open the regular season on Sept. 22. 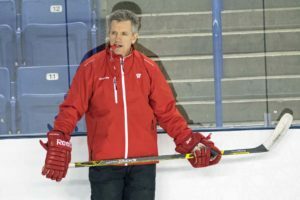 The Wisconsin men’s hockey team will open its 2017-18 season with the United States Hockey Hall of Fame game in Madison on Sunday, Oct. 1 against Michigan Tech. The first regular-season game comes quickly for the Badgers, who officially begin practice just one day earlier, Sept. 30. Last season, Wisconsin opened with an exhibition against Victoria. Michigan Tech finished second in the WCHA during the regular season and won the Broadmoor Trophy, the WCHA’s conference title, by defeating Bowling Green in double overtime to earn an automatic bid to the NCAA tournament. The Huskies fell to eventual national champions, Denver, 5-2, in the opening round of the national tournament. The two teams are former WCHA opponents, having met 156 times. The Badgers own a 99-47-10 advantage and a 61-18-6 record in Madison. The two teams split their last series, in early January of 2015. The U.S. Hockey Hall of Fame Game is an exempt game which means both schools can play one additional game above and beyond the NCAA maximum normally allowed in a season. 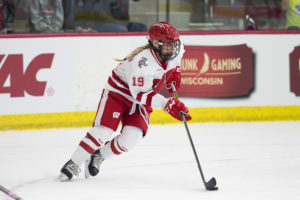 The Wisconsin women’s hockey team fell short in its attempt to go wire-to-wire as the nation’s top-ranked women’s hockey team. The Badgers lost to Clarkson 3-0 on Sunday in the NCAA Division 1 championship game in St. Charles, Missouri. It was the fourth straight trip to the Frozen Four for the Badgers. They failed to make it out of the semifinals the last three years, but blanked Boston College 1-0 on Friday night to advance to the title game. Wisconsin senior hockey standout Sarah Nurse was named the WCHA’s Offensive Player of the Week for the fourth time in her career. Nurse tallied the game-winning assist in Wisconsin’s 2-1 win over North Dakota in Saturday’s WCHA Final Face-Off semifinal before recording a goal and two assists in Sunday’s 4-1 victory over Minnesota Duluth to help the Badgers clinch their third straight WCHA Final Face-Off championship. Nurse (Hamilton, Ontario) is tied for the team lead in goals with 24 and is second in points with 52. Nurse and the top-ranked Badgers will host Robert Morris at LaBahn Arena on Saturday afternoon in the NCAA Tournament quarterfinals. The 2 p.m. faceoff is sold-out.